What is cyberbullying and why does it matter what we call it? We need to start labeling bullying for what it really is. Criminal behavior that must not be tolerated. 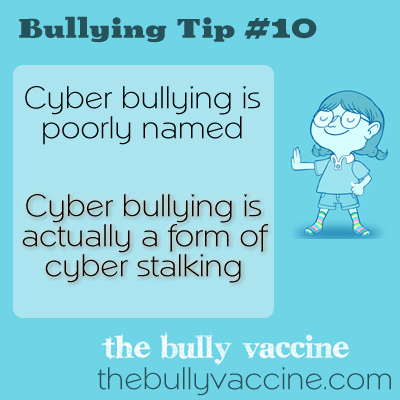 Cyber bullying is really a form of cyber stalking.